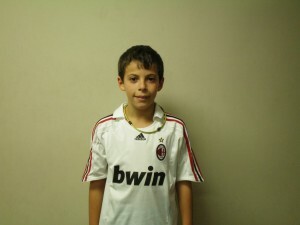 The 54th Member of the Soccer Fitness 20 MPH Club, Emmanuele successfully completed 2 separate, 4-second running bouts at a top speed of 20.5 miles per hour, on Wednesday, November 30, 2011. Having trained with Soccer Fitness since July of this year, Emmanuele has become the second member of the Woodbridge 2000 Boys team to join the 20 MPH Club, and also only the third-youngest athlete ever to run 20 MPH in our Centre. Emmanuele has ambitions of playing professional soccer in the future, and we at Soccer Fitness are looking forward to continuing to help him reach his goals.